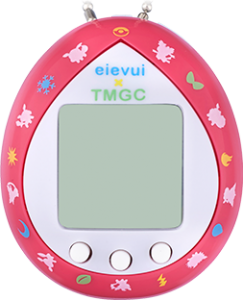 The Eevee Tamagotchi has generated a lot of buzz since its announcement and it is finally out in Japan. That is… if you can find one. Most stores have already sold out of their stock and the toy is now mostly limited to online retailers whose prices have steadily been rising. 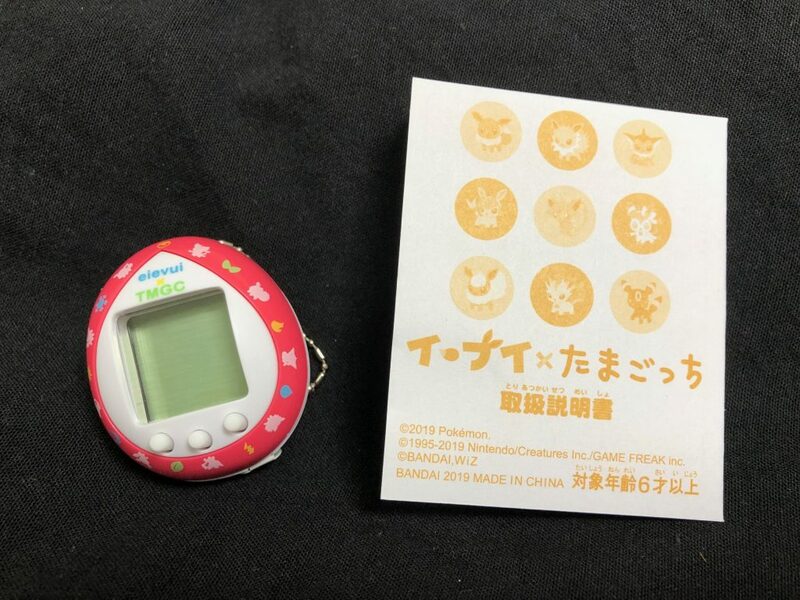 But is this Tamagotchi really worth more than its suggested $23 price tag? Let’s take a look. 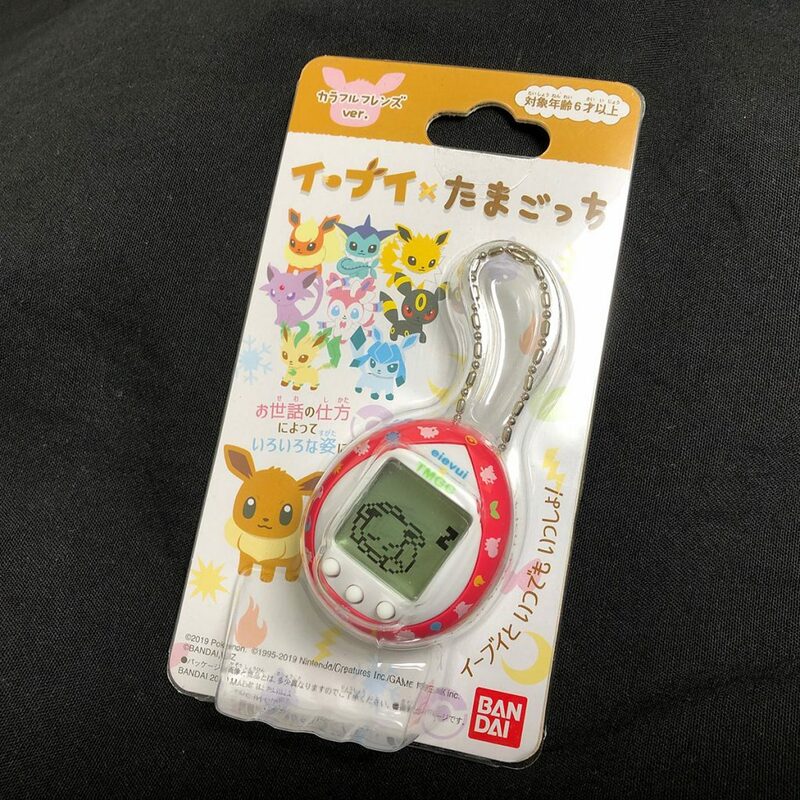 There’s nothing superfluous about the Eevee Tamagotchi’s packaging. Save for the included instruction manual, you get exactly what you see. 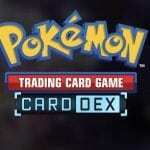 The pictures above may make it seem bigger than it is, which is not much wider than a Pokémon card and about 30% taller. The instruction booklet also doesn’t feature any other exciting art than what we’ve seen on the official site. Considering the illustrations are pretty adorable it would have been nice if it had been in full color or if there had been some stickers thrown in. The device itself is also very small, a size which makes it easy to put on bags or clothes as an accessory. Although I chose the Colorful Friends version, which sports a pink plastic shell, there is also a brown I Love Eevee edition as well. Both are simply cosmetic choices that have no effect on gameplay. One complaint I did have is that the soft plastic buttons on the front sometimes fail to register presses if not pushed precisely and they were a little too pliable for my liking. The screen is delightfully retro though and delivers about what you can expect from a 30 by 24 monochromatic LCD. Eevee isn’t too hard to take care of and luckily won’t die on you, but it may just skip town if you neglect it. There are three main care requirements that it needs: food, fun and grooming. Feeding it is as simple as pressing the left button and selecting the first option, “Meal”, which then lets you choose either Poké Food or a snack. Food will satisfy hunger, while snacks will raise Eevee’s happiness. It is speculated that the amount of nutritionally-deficient snacks you feed your pet influences its future evolution, for better or for worse. To add more fun and happiness to your Eevee’s existence are the games. The second option brought up by the left button is “Play”. 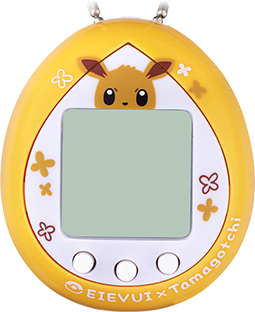 Unlike the Tamagotchi Nano which only sports one game, the Eevee Tamagotchi has two. The first, Berry Catch, tasks you with catching falling berries while avoiding Pokémon type symbols, such as Fire and Water. The other game is simply “Dance” and makes players press the buttons in accordance with the letters shown on the screen. Finally, Eevee will occasionally leave furballs for you to clean up by brushing it clean. This is a random event and cleaning Eevee is done automatically by pressing the left button. After about three days, the Eevee will evolve into its evolution based on the care provided. There are 11 total evolutions to get; all of the Eevee-lutions plus three “secret” characters which Flower Eevee, Team Rocket Eevee and Ditto Eevee. When not caring for it, Eevee or its evolution will continually bounce around the screen. You can check its mood and look for hints to what it may be lacking by pressing the right button, after which it will appear dizzy (it’s hungry! ), sad (it’s unhappy! ), happy (it’s not completely full or completely happy) or run closer to you (it’s in perfect condition). How much enjoyment you get out of the toy will most likely depend on what you think you’re getting. 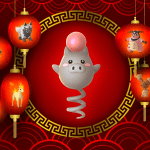 If you want a challenging virtual pet to take care of… look elsewhere. 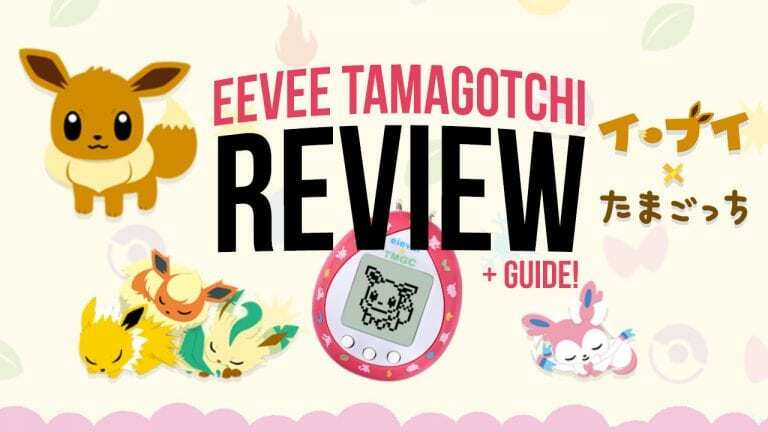 If you simply want a virtual Eevee or Eevee-lution to stow away in your bag and take around, feeding it and playing games with it throughout the day, this may be your cup of tea. Extended enjoyment really comes from trying to figure out how each evolution is obtained. Once your Eevee evolves it all comes down to trying to keep it entertained enough not to leave if you got the evolution you want or simply resetting the device to try again. For collectors it’s definitely a fun collaboration worth buying, but just try to get it at a reasonable price. Personally I probably won’t be using mine much day to day, but it is certainly something I’ll treasure as a commemorative item. If you’ve bought the device and are looking for help navigating it, please see the embedded video in which I go through all the options and their English translations.